Whether your cruising plans include the high latitudes, Europe, or the South Pacific, Tanglewood will serve you well. She is equipped with an Olympia diesel heat system, four zones of Dometic air-conditioning, and an electrical system configured to operate in 50 or 60hz environments, that also includes voltage boost functions. Tanglewood is a superbly equipped and impeccably maintained Nordhavn 60. She comes to the market as her owner focuses on the construction of a new, larger Nordhavn. She will amaze both inside and out. Among her attributes is a well-developed and integrated Maretron monitoring system, Furuno FAR radar, dual auto pilots, as well as other redundant electronic systems. 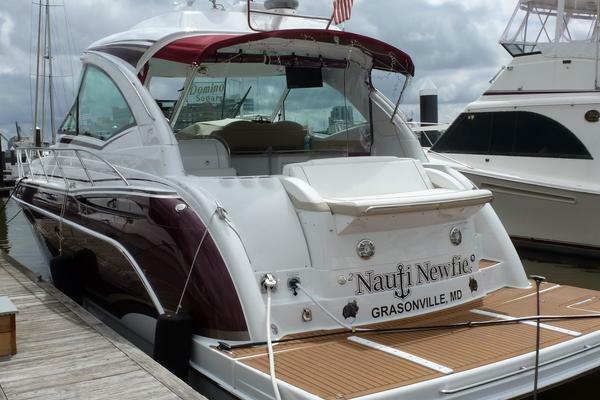 United Yacht Sales New Jersey would love to guide you through a personal showing of this 60' Nordhavn 60 2014. 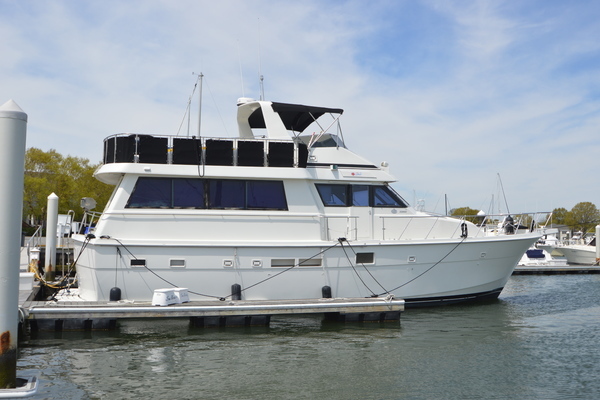 This yacht for sale is located in Seattle, Washington and priced at $2,150,000. For a showing please contact us by filling out the form on this page and we will get back to you shortly! Custom bound edge carpet with integral anti-skid back is easily removable for cleaning. Chain counters at pilothouse and flybridge helms. Includes automatic deploy and recovery. MECHANICAL SYSTEMS Main Engine The first element in creating a reliable, efficient single main engine propulsion system is engine selection. For that reason, Nordhavn often selects John Deere engines. They have a long history in commercial, as well as cruising boat applications, and a long history with Nordhavn. For a trawler style yacht application they can be used at horsepower ratings that are at the lower end of the range of ratings that these engine blocks are offered with (de-rated). Because of their various applications, including agricultural equipment, and over-road vehicles, replacement parts availability is very good worldwide. A second element contributing to reliability is cooling the engine. The main engine is cooled by running the closed cooling system fluid through a keel cooler mounted in a recess on the outside of the hull. This keel cooling configuration is most often found on commercial boats. The cooler itself is analogous to a radiator, except immersed in water, and eliminates the raw water pump required to circulate seawater through a heat exchanger onboard the engine. One of several benefits is that the rubber impeller is completely eliminated, along with the attendant engine shutdowns due to its failure. Because raw water is not pulled in for cooling, neither is debris, eelgrass, plastic bags, or jellyfish. Since raw cooling water is not mixed with the exhaust, the stack exhausts engine gas high above the deck into moving air, so it is not pulled back into the cabin by the “station wagon” effect. The aft salon door can be left open even when running downwind without pulling fumes into the living spaces. A third element is a reliable and versatile fuel system, described in detail below the “Fuel System” heading. “Maintenance strakes” molded into the hull achieve a flatter, more efficient propeller shaft angle, and increased head room around the main engine in the engine room. Dual alternators charging house bank. One 190A Balmar, plus one 85A Balmar. Regulation via Balmar MC624. 275A total charge capacity while underway, plus ability to run laundry and oven. Wing Engine The Nordhavn wing engine installation is a separate, dedicated propulsion system with its own shaft and propeller. If a main engine shutdown were to occur due to fouling of the main propeller, cross-linking an auxiliary power source to the main engine shaft would be rendered useless. Generator The generator is located to port and aft in the engine room. It has its own sound shield, so the combination if its sound shield and the extensive sound insulation measures in the engine room and salon sole, means the sound level while running it is comfortable in the boat’s interior. Since Tanglewood is fitted with the ABT “STAR” system (Stabilization At Rest), the generator is fitted with a PTO driving a hydraulic pump to both, operate the stabilizer fins while anchored, and also to supplement the hydraulic pressure from the main engine hydraulic pump for full system power to run both thrusters at full power, or a combination of thrusters, windlass and anchor wash pump. Full ABT Hydraulic System, including Stabilization at Rest (STAR) The advantages of the full hydraulic system on the Nordhavn 60 are several. First, the thrusters are very powerful, and can be used continuously without a thermal time out, making them very effective in sustained crosswind situations. There are controls in the pilothouse, port and starboard wing control stations on the Portuguese bridge, and also in the aft control station in the cockpit. The control levers are set to remain in the position that they are left in, so they can be used to “pin” the boat against the dock for tying up. The system also includes two 180 gal./min pumps; one is for the anchor wash, and the other is a very effective emergency bilge pump located in the deep section of the bilge in the engine room. 4 zone Dometic HVAC system. Salon, master stateroom, guest stateroom, and pilothouse zones. Split compressors and air handlers for quiet interior operation. The compressors are located aft in the lazarette, and the air-handlers are located in each interior zone. Diesel Heating System The design of an efficient and effective diesel heat system for a boat with the interior volume of a Nordhavn 60 is important. A system that is undersized in capacity will run constantly, wearing out components prematurely, and not heating the spaces comfortably. While the HVAC system has heating capability, and can warm the interior nicely, it requires running a generator, and the air exhausts through soffits in the cabin that are near the overhead. The diesel-fired Olympia boiler is rated at 105,000 Btu and uses a Becket burner system, used in many domestic systems throughout the US, making a replacement, if required, easy to source. The system runs primarily on DC power, except for its AC powered circulation pump, and the heat exhausts down low in the interior where it can rise. The system uses fluid lines heated and circulated through individually controlled fan units in various interior zones. Additionally, the fluid also flows through a second heat exchanger in the Torrid water heater for efficient water heating. All of the above makes the system efficient for use at anchor. Tanglewood is also fitted with an engine “waste heat” exchanger that heats the fluid system while underway, eliminating the need to run the boiler unit at all. 750W solar system on flybridge hardtop. Outback MPPT solar charge controller. Dual Outback inverter/chargers provide 7kw of 120VAC service on boat. Transparent switching between inverter power and shore or gen power. Manual bypass switches for service. Two 150 gal. forward fuel tanks used in conjunction with supply tank as fully isolated day tank. These are only filled via a filtered transfer system to ensure clean fuel. The main engine and generator draw from this combined 330 gal. “day tank”. Engine room side tanks (950 gals. ea.) provide bulk storage. Fuel in main tanks is isolated from day tank, never directly consumed, and only transfer via a filtration system to the day tank. All tanks have inspection plates in them. Main storage tank inspection plates are “man hole” size to allow entry for cleaning. All storage tanks are fiberglass laminated with vinylester resin, ensuring a very long service life. Oil change system with manifold and valve connections to main engine and gear, wing engine and gear, and generator. Extract and fill via 5 gal. pails for quick, no mess oil changes. Spectra Newport 1000 MKII, 45 gal./hr, 1000 gal./day water maker. DC powered for operation while underway without generator, when the water is the clearest. Upgraded media filter and dual Big Blue cartridge filters for raw water filtering. Tecma “Silence Plus” toilets with fresh water flush. Each has a macerator unit, and is a stand-alone head unit. Very reliable, and each is an independent system. Electronics The electronics complement on Tanglewood is impressive by any measure. The systems have been set up with the deliberate involvement of the owner, who is eminently qualified to employ the technology. The objective has been to create stable, reliable systems of unusual accuracy, including careful calibration of sensors and sending units in the Maretron monitoring system, but also simplicity and minimal integration of the navigation systems. The components, including the Furuno FAR radar, as an example, are essentially in the commercial class. Systems components and their model and serial numbers are all included with the “as-built” documentation that will inure to the new owner. Maretron Vessel Monitoring System The Maretron system provides an extraordinary amount of visual information “at a glance”. It can be placed into modes for at-anchor, underway, or moored. Far from a “gadget”, this is a powerful, very useful monitoring system. Data display on phone or ipad. Useful for remotely monitoring tank levels while fueling. Steelhead ES1500 hydraulic davit with full power control. 1500lb capacity. Parks pointing aft for maximum open space on boat deck. The boat is turn-key and ready to get underway this season.